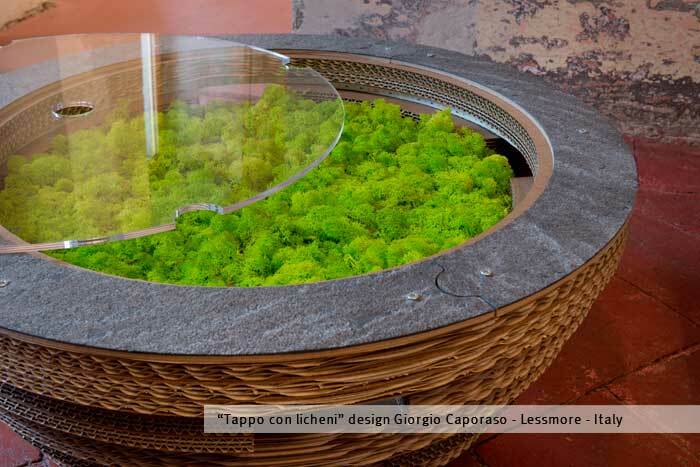 The small table “TAPPO” is a valid example of EcoDesign collection by Italian architect Giorgio Caporaso. 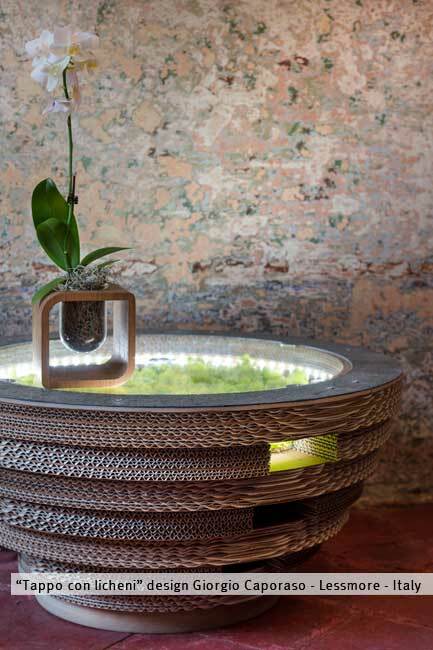 It can be used as a table, but also as a container or as a lamp. A refined and multifunctional element of decoration that introduces the concept of transformability thanks to the possibility of changing the colour of its surface or light whenever you want. Its internal source of light – giving it life in the dark – makes it alive and dynamic. The light that passes through its surface and lateral holes with different shades creates a range of chromatic atmospheres, combining usefulness and aesthetic effect. TAPPO is realized in recyclable alveolar cardboard, in FSC certified wood or in bamboo and its light source is energy-saving. It can be used to decorate internal or external environments, since it is versatile, original and captivating; it can be combined with a vast range of customized features, from refined finishes of the surface to elegant wood essences or vivid colours and chromatic variations created by semitransparent or satinized shelves; it can be also personalized with prints of any kind of texture or graphical pattern, giving i t an innovative character. Anyone can combine the basic element with shelves and then modify finishes, colours, the transparency or the opaqueness, textures, creating an ever-changing and personalized product. 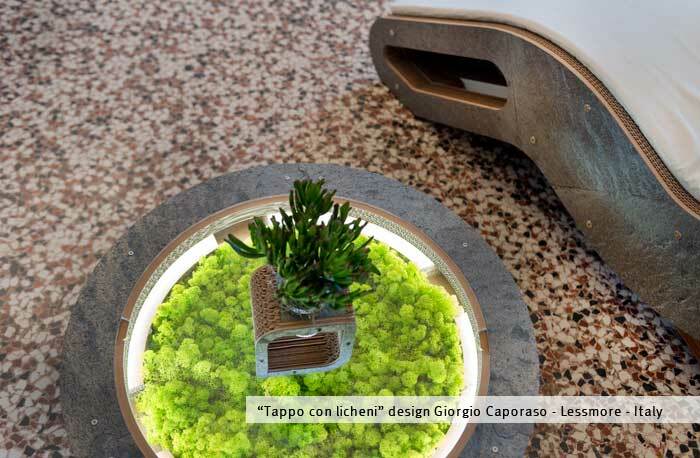 With “TAPPO”, anyone has the possibility to express his or her own creativity to customize environments with taste and balance. With the awareness that it is always possible to change or modify the furniture afterwards. 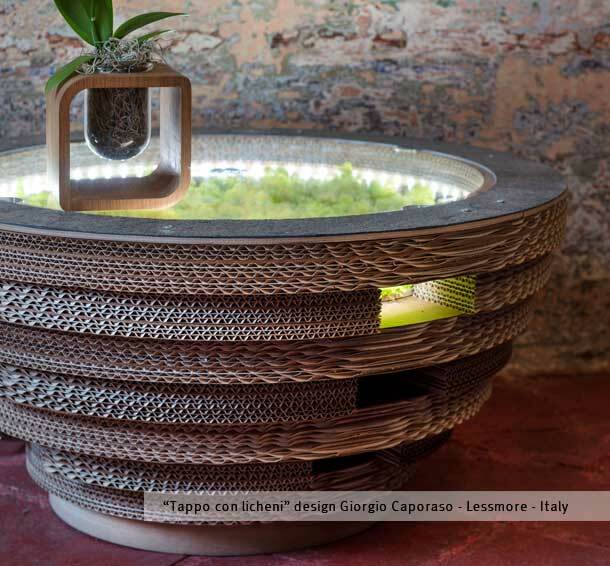 An ecologic design that combines elegance and the refinement of lines with environmental sustainability. In fact, materials can be easily and rapidly disassembled for the separate waste collection. Besides, in its cardboard version, the product is completely biodegradable and recyclable - being at the same time very resistant and durable. And when you tire of its appearance? 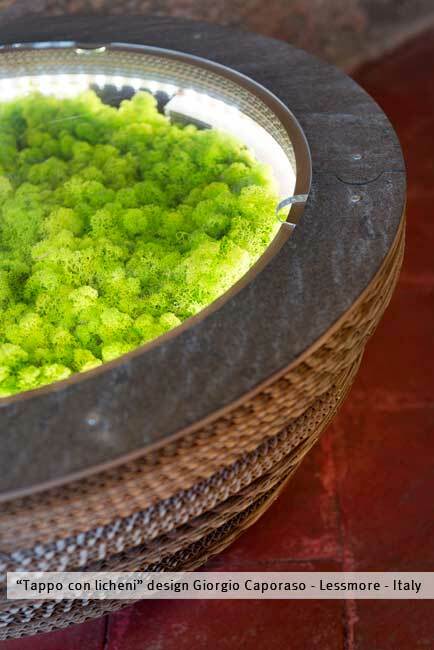 You can change materials, colours and finishes of its surface and the product becomes new and different, adaptable to any classic or modern environment. This is sustainability, too!